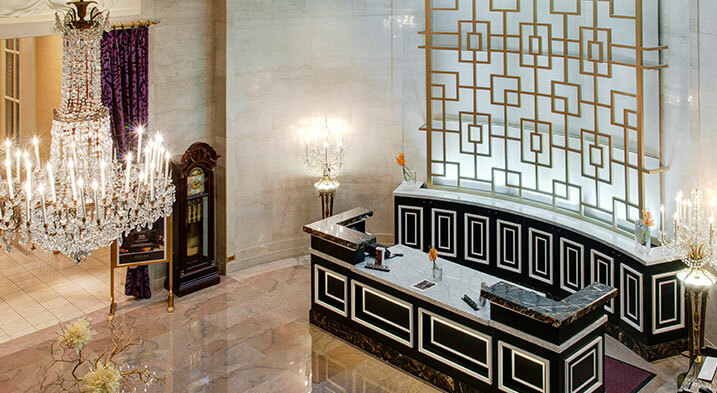 The Mayflower Renaissance is one of Washington D.C. s most famous spots, with a rich history and reputation for luxurious style. It’s known as the city’s “second best address”, the first being, of course, the White House. 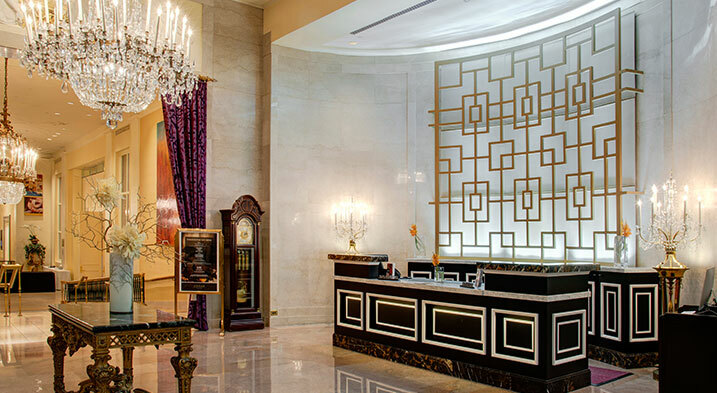 For this project, American Woodworking was asked to create a concierge desk for the hotel that matched the reception desk, so that the spaces could be integrated in look. 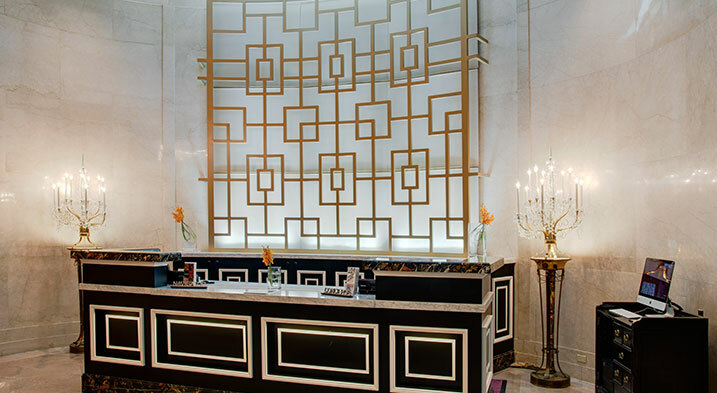 We needed to recreate the white and black lacquer cabinetry of the existing desk, with its back-lighted shadow box accents and beautiful stone work, which we did, for a perfect match. 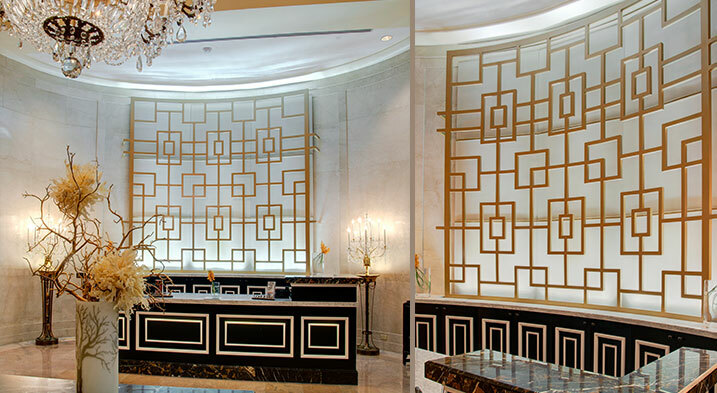 The Mayflower Renaissance project also required us to recreate the metal art feature from the front desk and adapt it to the curved wall behind the concierge desk, to maintain the same feel for both areas. 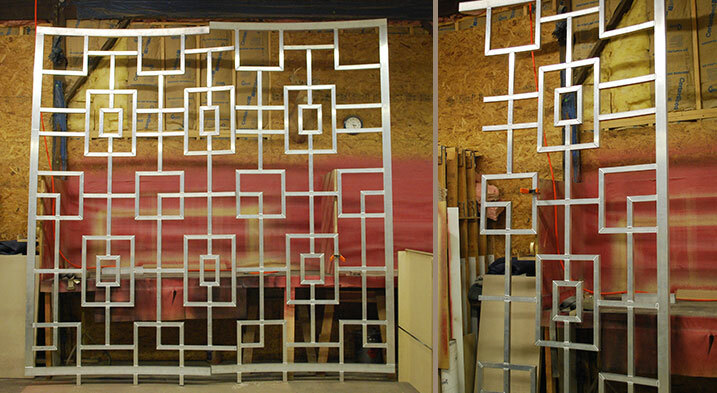 We fabricated a dramatic piece of artwork, a 16’x12’ radius metal art feature to which we gave a gold metal flake finish. To keep the background of the desk bright and elegant, we mounted a backlit acrylic panel behind the artwork. 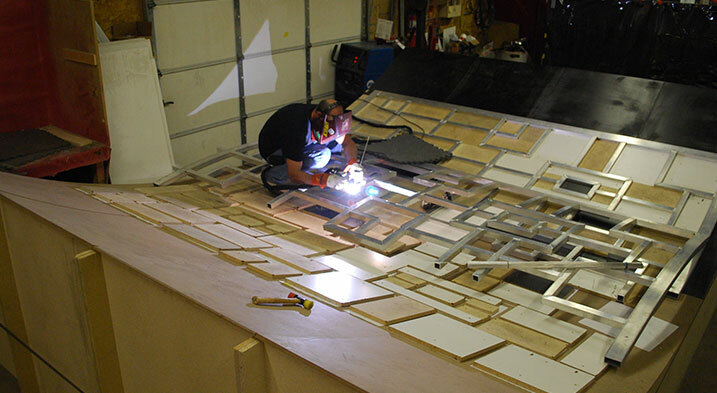 Our ability to execute the woodworking requirements of the project with metal fabrication not only met the Mayflower’s expectations but surpassed them.